Inventor Forms – Government forms from PatentCafe. Inventor’s Log Book – From the National Congress of Inventor Organizations, a nonprofit umbrella organization to assist inventors. Inventors Digest – Online version of the magazine with articles, news, sources of help, trade shows and information on scams. Inventors Association – A not- for-profit corporation formed in 1990 solely for the educational purposes, support and services to inventor groups and independent inventors. Inventing 101– Online course for inventors. Patent Evaluation – Fee-based assessment of inventions by the Innovation Institute, located with the Center for Business and Economic Development at Southwest Missouri State University, and partners support the WIN (World Innovation Network) Innovation Center. Wisconsin Innovation Service Center – Fee-based research for market size, competition, existing patents and demand. National Fraud Center – Michael S. Neustel, a U.S. Registered Patent Attorney, founded the National Inventor Fraud Center, Inc. (NIFC) with the goal to provide information to consumers about invention promotion companies and how people can market their ideas. Featured Links for Inventors – Connections to contests, organizations and grants from MIT. 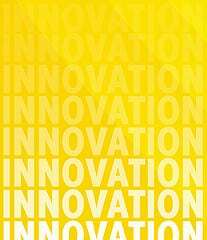 Innovation Monday – Assessment, coaching, training and networking solutions for innovators. “A patent will protect your creation from being replicated or sold by others without your permission. In the United States, patents are issued by the federal government’s U.S. Patent and Trademark Office and are valid for 20 years. There are two types of patent applications, the Provisional Application for a Patent and the Non-Provisional Application for a Patent. The Provisional Application is the intent to file a Non-Provisional Application within the next 12 months, but gives you the benefit of using the “Patent Pending” designation upon filing the statement. The Non-Provisional Application for a Patent has a lower fee and is designed for individuals, small businesses, or other small entities. Documentation showing you qualify as a small entity needs to be included with your application. A Non-Provisional Application for a Patent has several components. Before completing the application, it’s recommended that you conduct an online patent search to be sure no one has a patent pending for the development of a similar product. Depending on the type of your product, you will be filing for a utility, a design, or a plant patent. Each type of patent has its own corresponding application requirements. Besides completing the basic information on the patent application, you will also need to provide written information about the product that includes a description, all its specifications, ingredients or materials, claims and other pertinent information. An oath that you are the inventor of the product is also required. CnnMoney – Article – When to partner, when to go solo. Provisional Patent Q&A – Session from Don Kelly, the Director of Independent Inventor Programs, Office of the Commissioner of the U.S. Patent and Trademark Office (USPTO) with the NCIO. U.S. Patent and Trademark Office – The most complete site to provide search capability of patents and their images, along with trademarks, plus printable forms, a fee structure, and FAQ’s from the U.S. Patent and Trademark Office. Delphion Patent Database – Compiled from Inpadoc and other sources, supported by CHI Research and IBM for registered and paid subscribers to search patents worldwide and use the value-enhanced tools to create patent intelligence; also has a “Gallery of Obscure Patents”. Lawyer Locator – Online version of Martindale Hubbell attorney list by location, specialty, name, etc. Patents and Trademarks Webliography – Complete resource guide created and maintained by Louisiana State University Library. Patent Searching Tutorial –From the University of Texas at Austin, McKinney Engineering Library for those who wish to search the patent literature. Copyright, Patent and Trademark Info from nolo.com – Questions and answers regarding copyright and trademarks. U.S. Patent and Trademark Office – The most complete site to provide search capability of trademarks and FAQ’s from the U.S. Patent and Trademark Office.